R-71 qualifys for November vote! With the Referendum 71 signature-check now nearly complete, state election officials say they’ve now confirmed that sponsors turned in more signatures than needed to qualify for a spot on the November statewide ballot. Signature-checkers passed the 121,000 mark on Monday, the 23rd day of an exhaustive hand check of all 137,000-plus signatures submitted on July 25. It takes 120,577 valid Washington voter signatures to qualify a referendum to the state ballot. Voters will now have a choice of accepting the new law or rejecting it. The numbers still are unofficial and not final, as checkers do one final check of hundreds of previously rejected signatures of people who weren’t initially found in the voter registration records. That should extend the margin a bit, but the final margin could be in the range of 1,000. Final certification is scheduled for Wednesday morning by Secretary of State Sam Reed. Will opponents to R-71 mount an effective campaign to build support for their view? Or, will they continue with the denigration, threats of violence and placing all signers names on the internet on a searchable engine? 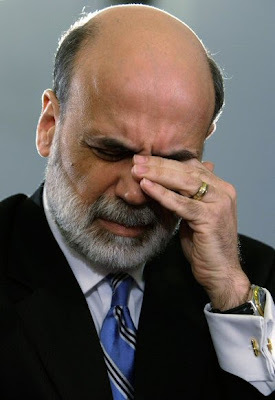 Mortgage and Banking Expert for the Victoria Taft blog, “Pete,” on the reappointment of Ben Bernanke to the Fed and how it’s riled a few on the street. Given Ben Bernanke’s past association with the Federal Reserve Board during Greenspan era easy money period preceding the collapse of the capital markets and his role in TARP and other government bail out initiatives, was Obama correct in reappointing Bernanke based on the tough decisions he has made? 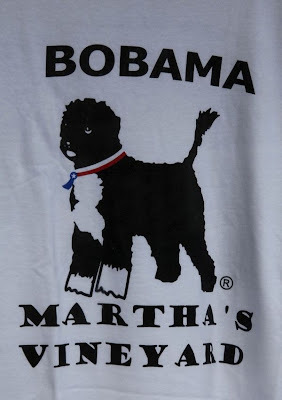 Victoria Taft Blog Banking/Mortgage Guy, “Pete,” fills us in on what looks to be the next governmental entity to swallow the mortgage market. But don’t worry, you’ll just get the bill again. “Pete” writes: In response to the housing and residential capital market collapse, the Housing and Economic Recovery Act of 2008 was passed in July, 2008. Through this legislation the Federal Housing Administration expanded its role in housing finance as troubles mounted for Fannie Mae and Freddie Mac. As is suggested here, and here, the Congressional mandate to the FHA was to loosen underwriting standards , permitting borrowers with poorer credit to finance/ refinance homes with little down payment and out of pocket cost. Sounds a bit like the Congressional directive to Government Service Entities Fannie Mae and Freddie Mac, who beginning in 2003 – 2004 in contributed to the housing boom by originating and securitizing sub prime loans and ultimately the setting the stage for the residential capital market collsapse in 2007. A bit of deja vu? Witnessing the fight he put on at 46 in a battle with one of the superstars of the sport, a former champion who is 13 years younger, taller, and more than twenty-pounds heavier, I think the nickname “the Natural” is a misnomer; it ought to be Super Natural. The question is why has Portland, why has Oregon, not embraced and celebrated a native son who is perhaps the greatest athlete to come out of this region–a veteran and unapologetic patriot who has gone to extraordinarily lengths to support our troops, traveling to Iraq to do so, and who proudly calls the Portland-area “my home. I grew up here. It’s great to be home,” as he said at the weigh-in? More than 16,000 Portlanders and Oregonians rocked the Rose Garden expressing their admiration for Couture. But what about Portland and Oregon more generally? The man has become an icon among athletes who are among some of toughest and skilled in the world — as well as the most highly educated, the great majority college-educated, as is Couture, an All-American wrestler after going to college at Oklahoma State on the GI Bill after Army service and then athletic scholarship? 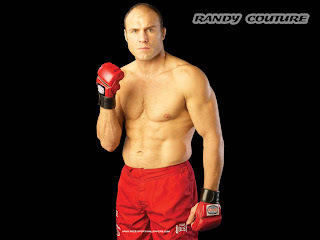 If the late Bruce Lee and Chuck Norris are already on the Olympus of Martial Arts, Randy Couture of the Northwest generally and Oregon and the Portland-area in particular, is well on his way there by those who know the sport. Indeed, he is to the sport of mixed martial arts what Lance Armstrong is to the sport of cycling, what Lou Gehrig or Babe Ruth were to baseball What Joe Lewis or Muhammad Ali were to boxing. What Johnny Unitas or Bronco Nagurski were to football. What John Wayne was to movies. Legends. Embodying what Americans would like to think are American virtues — courage, rectitude, fortitude, humility, modesty, and a sense of humor and a sense of gratitude for the opportunities we have been given, and that indefinable quality embraced in the word “heart.” Triumphing over adversity. Staying the course, making the fight, giving it the all, win or lose. There is a sense, I think, that these are qualities of the American character at its best, what Americans can, and should, be. Randy Couture, who smiles modestly at the “Captain America” tribute the fans have given him, is alive and well in Portland, Oregon, and America, and we are all the better for his example.